The renovated student learning and performance center features 28,050 square feet, 91 percent of which is arena space with a 2,287-seat capacity. A 2,370 square foot addition includes concession, storage, restrooms, and new mezzanine-level offices that overlook the arena. Previously un-conditioned, the renovation included adding an air conditioning unit with two duct sock-air units to cool the entire arena. A fire protection system was installed including fire sprinklers and alarm. Lighting solutions include a new 2800-amp electrical service using 160 relays with a DMX dimming system. One of the more challenging elements of the build was creating the impact sports floor within the apron of the existing flooring which was 12 to 16 inches deep. The Circus Arts Conservatory (CAC) focuses on the presentation of professional performance known as Circus Sarasota, a youth training program Sailor Circus Academy and arts integrated circus arts educational programming to elementary and middle schoolers, and a growing humor therapy program the organization provides to those in Florida’s care facilities – nursing homes, assisted living facilities and adult care centers. 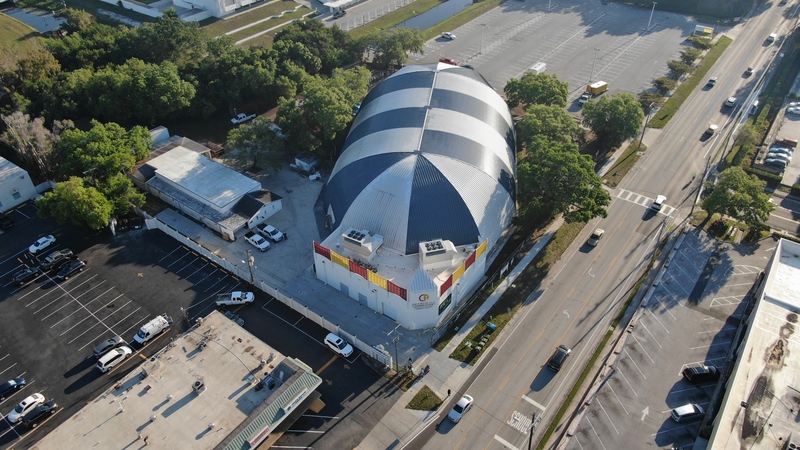 "We are grateful to partner with The Circus Arts Conservatory to create a new, state-of-the-art arena so they may continue their important, and entertaining, work in our community," said Sean Williams, principal in charge of Carlson Studio Architecture. "Renovation projects often have a unique set of challenges, however through our partnership with CAC and Tandem Construction, we were able to make this shell of a building into a unique and functional space." Michael Carlson of Carlson Studio Architecture started the master plan in 2012. Fundraising for the project began in 2013 and Tandem Construction started work in March 2018. Construction took 12 months, 200 workers, and more than 3,000 staff hours to complete. Additional partners included Hees & Associates and Robinson Associates for structural engineering, Stantec for civil engineering, and Quest Design Group for mechanical, electrical, plumbing and fire protection (MEP|FP). The iconic, one-of-a-kind structure is now positioned to be a premier event space for formal and corporate events. 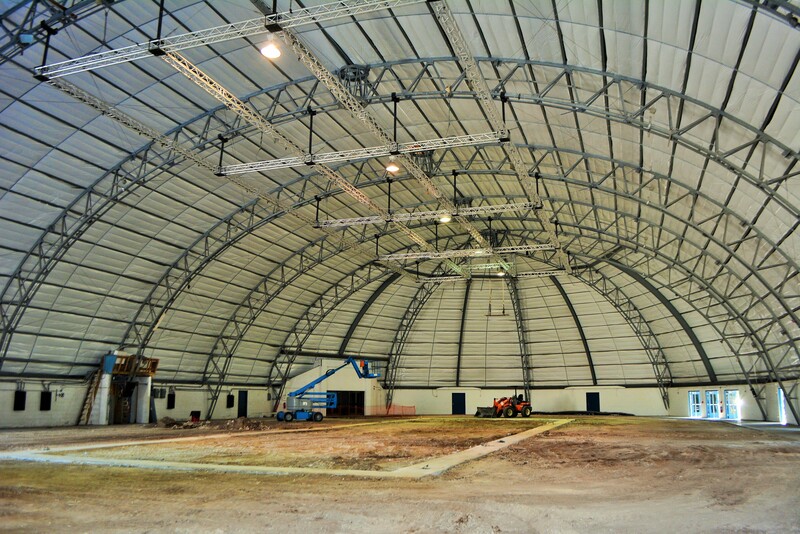 From weddings to business meetings, seminars, and tradeshows, the arena offers the largest area of unobstructed floor space in one of the most unique buildings in the region. 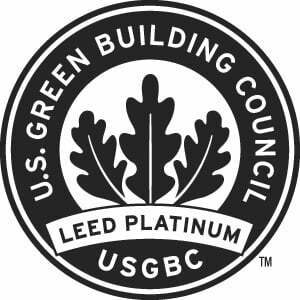 Founded in 1997, Carlson Studio Architecture is an award-winning, full-service design firm focused on sustainable buildings. Services include, architectural design, eco-consulting, master planning, interior design, and owner rep services. Projects include office buildings, master plans, schools, churches, healthcare facilities, restaurants, retail stores, and residential properties. Additional information can be found at www.carlsonstudio.org. The Circus Arts Conservatory (CAC) is the nation's only nonprofit organization combining world-class professional circus performances, youth training, and community outreach programming using circus arts as the medium. 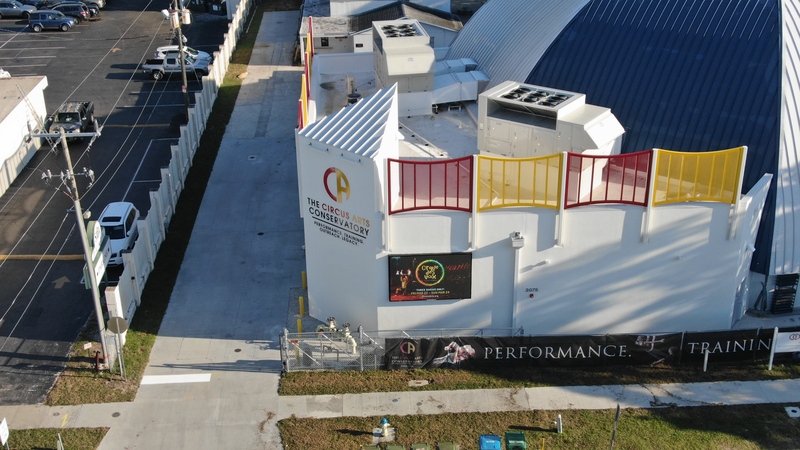 The CAC's mission is to engage and educate students using unique and innovative learning programs; to measurably improve the quality of life for individuals in care facilities; and to advance the extraordinary legacy and heritage of the circus. Sailor Circus is the longest-running youth circus in the United States. The Sailor Circus Academy program trains students in more than 30 disciplines of circus arts including aerial skills, trampoline, roller-skating, acrobatics and more. 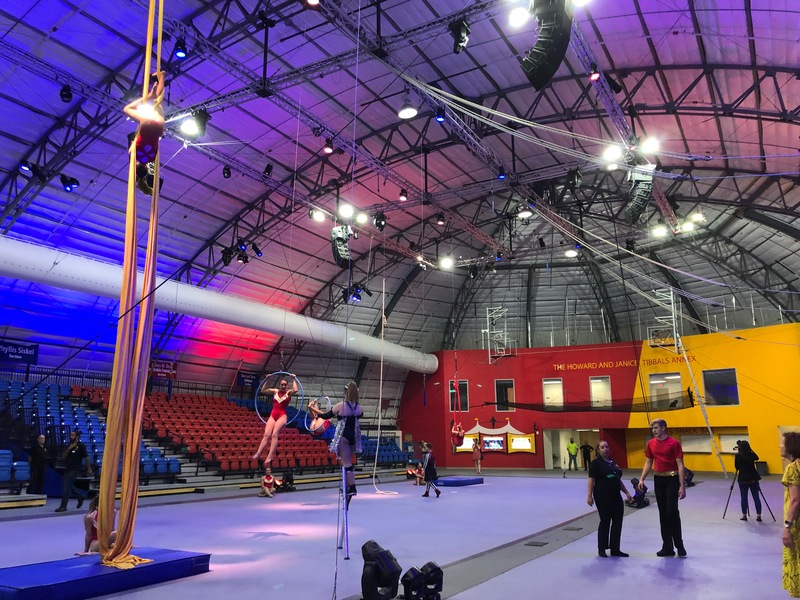 More than 100 students from over 30 schools (K-12) in Sarasota and Manatee counties represent the best of the youth circus arts, some training for almost a decade in their craft.